Is it officially summer where you are? Are your kids out of school? Have you been to the pool. I used to despise summer… with all it’s humidity and heat. But gradually, as my kids have gotten older, I’ve learned to enjoy it. I love having our pool bag at the ready, picnic quilt in the back of the van, sprinkler in the backyard, late nights, star watching, lightning bugs… the works. 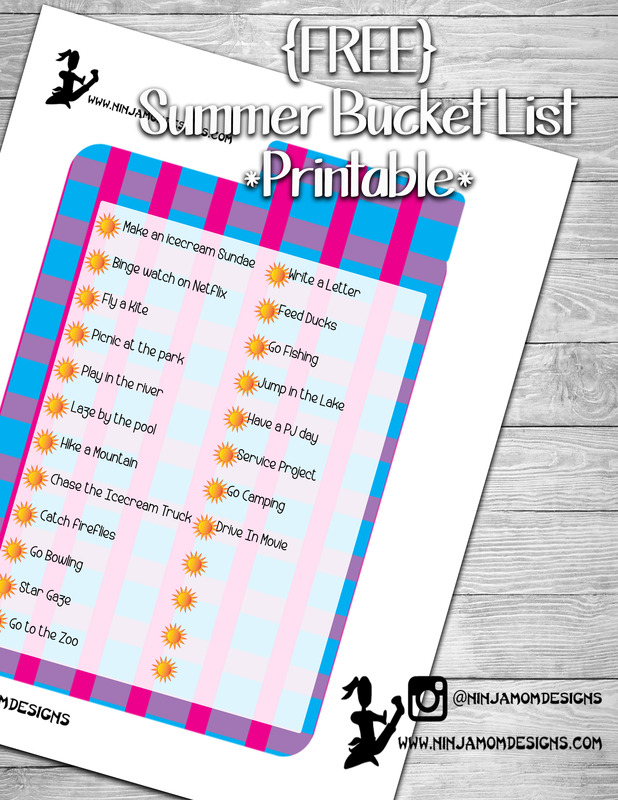 What’s on your list to do this summer???? Use this FREE Printable to keep track of your fun memories. Perfect for planners, it is sized 9 inches by 6 inches. Print on cardstock or laminate for durability. What will you add to the list?